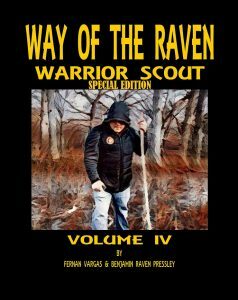 Warrior Scout is unique series that combines survival skills, self-defense and warrior philosophy. Well illustrated. Easy to understand step-by-step instruction. Book 4 covers —Bow & Drill Fire Making. More Wilderness Cooking. Hunting Weapons: Bola. Fishing. Defense Weapons: Machete. Empty Hand Combatives. Stories That Teach. Basic Exercises. …MORE!